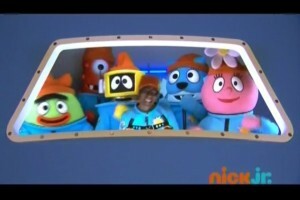 I’m not sure how I missed the Wes Anderson tribute the first 30 times we watched this episode of Yo Gabba Gabba. 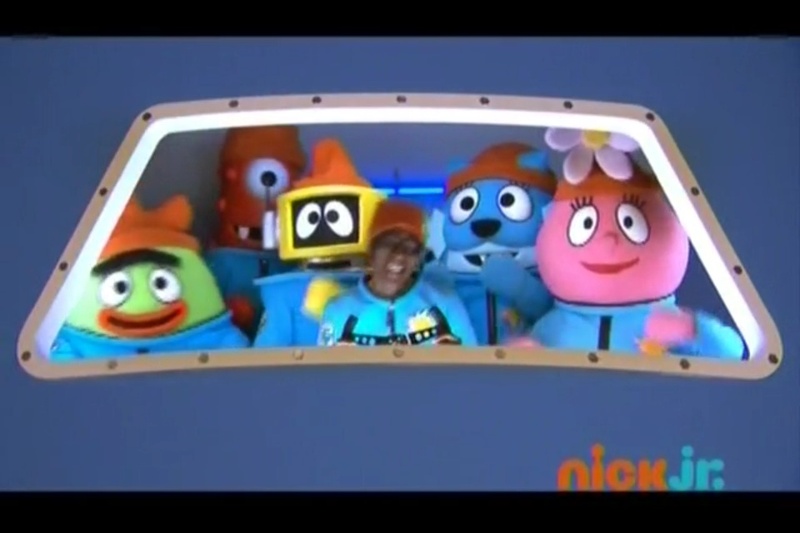 Although the Gabba gang are not hunting the Jaguar Shark, they are squeezed in to a cockpit and wearing appropriately-colored beanies. I was looking into information about a Certificate of Credible Coverage which is a “Proof of Insurance” for healthcare. If I have “credible” coverage and less than 63 days of time between jobs, insurance companies are required to take that into account and reduce the exclusion period. 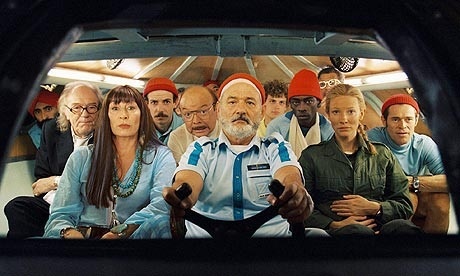 If I had just come from a long-term job (say 3 years or more) and had insurance during that job, a new insurance company might eliminate the exclusionary period altogether. Because I had a short job over the summer with only a month of actual coverage from Cigna, I will probably have a month knocked off my exclusionary period, bringing it down from 6 months to 5 months. If I could get an additional certificate from the United Healthcare (insurance provider at my job of 7 years prior to last summer) I could probably get the exclusionary period waived entirely. …a preexisting condition exclusion can be imposed on a condition only if medical advice, diagnosis, care, or treatment was recommended or received during the 6 months prior to your enrollment date in the plan. As an example, you may have had arthritis for many years before you came to your current job. If you did not have medical advice, diagnosis, care, or treatment – recommended or received – in the 6 months before you enrolled in the plan, then the prior condition cannot be subject to a preexisting condition exclusion. If you did receive medical advice, diagnosis, care, or treatment within the past 6 months, then the plan may impose a preexisting condition exclusion for that condition (arthritis). In addition, HIPAA prohibits plans from applying a preexisting condition exclusion to pregnancy, genetic information, and certain children. If you have a preexisting condition that can be excluded from your plan coverage, then there is a limit to the preexisting condition exclusion period that can be applied. HIPAA limits the preexisting condition exclusion period for most people to 12 months (18 months if you enrole late), although some plans may have a shorter time period or none at all. In addition, some people with a history of prior health coverage will be able to reduce the exclusion period even further using “creditable coverage.” Remember, a preexisting condition exclusion relates only to benefits for your (and your family’s) preexisting conditions. If you enroll, you will receive coverage for the plan’s other benefits during that time. The portion in bold in that last paragraph is something I had never heard of before, but it could potentially eliminate waiting periods when you change jobs. Number One Fan: One of the items I took to the hospital while my wife was getting ready to give birth was a small fan. Amy is prone to opening windows for fresh cool air at home; for the induced labor she was getting various drugs that were cranking up her internal thermostat. Leading up to our big day Amy and I had watched a number of TV shows about births. In one show I caught sight of a small clip-on fan on the back of the bed over the new mother’s shoulder. As I rushed back home to grab some supplies, this came to mind. And it was a life saver. Amy’s room had sealed windows and she was sweating as things got rolling. I was able to bring out and adjust the fan continually through out the labor and the recovery after the C-section. If a picture is worth a thousand words, a broken camera is a thousand regrets. You should take a camera, but maybe not a video camera. I can guarantee that you will want photos for family and friends and for yourself. We bought a good Canon point-and-shoot camera in preparation of having a baby and I worked with it for a few months before the big event. I felt quite comfortable with it, I had extra batteries and the recharger in the room ready to go if needed. As my boy got whisked from the OR to the receiving room, I grabbed the camera and started shooting some stills. I switched to video mode and then it happened. Here I am recording the first moments of my child’s life, hoping to bring the images back to Amy and save them for posterity and the camera goes belly up on me. From what I can tell now, the memory card itself may have been at fault rather than the camera, but I did NOT have time to diagnose the problem. So as they say, the best camera is the one you have with you (and WORKS). I took out my iPhone and started taking picture with it. Mine is a 3G, not a 3GS, so I didn’t have video recording, but at least I could bring up the voice recording app and capture some cries. The moral of the story is to have a backup for the irreplaceable stuff, the stuff that can only be captured once. The camera or video camera or whatever. Also, make sure it is small enough to fit in your pants pocket. I’m hoping that someday we will get an iPod touch with a video camera with a half dozen megapixels, but even then, I will still want a second one in back pocket for this sort of event. In case you hadn’t noticed all the Twitter activity, our new baby, James, is getting the full web-enabled treatment at http://www.jamesrolson.com/ and you are invited to stop in. That will probably be the last big piece of news to post until it’s time to sit and deliver. Things will probably be pretty quiet here for a while. Amy and I are excited to announce that in the next few months, a new member will be joining our family. We’re not sure about gender or really too much about the pregnancy so far, but we have gotten through the first round of ultrasounds. At week 12, the whole thing is looking pretty good. In late December, we’ll be waiting for Santa to drop off the whole package. Week 3-6: At-home pregnancy tests are coming up positive. 10 to 12 off-the-shelf home tests used. Week 7: 1st prenatal appointments made for week 8. Massive blood loss on Wednesday evening leaves us thinking we had a miscarriage. Canceled the prenatal appointments. Week 8: Miscarriage expected, baby found instead. “Strong heartbeat”, says the doctor. First time we saw the heartbeat on ultrasound. Week 10: Ultrasound shows 2 weeks of growth in 2 weeks. Saw arms and legs move on ultrasound. Looks like corpus c. is on right ovary. Week 11/12 plan: High-tech ultrasound screening scheduled, geneticist consult scheduled, blood sugar check, nurse practitioner mtg. Week 12: Nurse (blood sugar/insulin), genetic consult, need insulin supplies. Call this week. Nuchal translucency ultrasound screening set for for Friday. That Friday: Full scan done too. Nasal bone looks good. 12wk4d by measure. Screening is clear. So we’re heading into week 13. As Amy and I are relative late-comers to this whole parenting thing, we’ve been very concerned about the possible genetic issues that might occur; it looks like we’re clear. This was the reasons why we’ve taken so long to mention it, and one of the big reasons I haven’t been posting to my journal here. I’ve got a ton of people to let know and if this is the first you’ve heard about it, don’t be surprised or put off. We’ve been keeping this more quiet than normal and as you might imagine, we’re putting a lot of plans together to prepare for everything. I may document some more stuff here later, if I think it will be interesting to all four of you who read this. We’ve got 20 or so sonograms that I can share with you if you’re interested in looking at blurry grey dots on a black background that may or may not resemble some under-developed body part. I, of course, have already set one as the background on my phone. A: Someone should make a mash up of [New Order’s] Blue Monday and Ministry’s Halloween. R: Is that really good idea? R: Oh, that’s much better than what I was thinking of… ‘Everyday is Monday’! That’d send chills down your spine!